“For the first time in nine years, primate staff at the Smithsonian’s National Zoo are making preparations for the highly anticipated birth of a critically endangered western lowland gorilla. 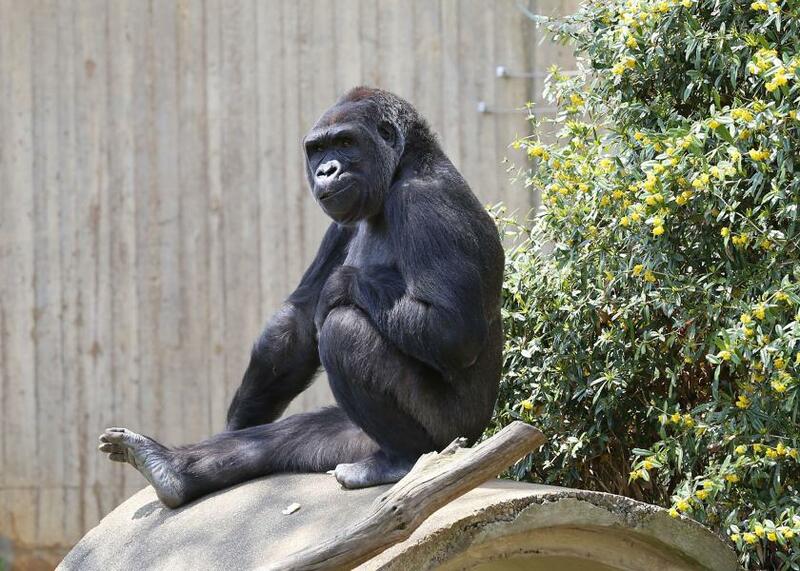 With a breeding recommendation from the Association of Zoos and Aquariums’ Species Survival Plan (SSP), the parents to be–15-year-old female Calaya and 25-year-old male silverback Baraka–bred in summer 2017. Animal care staff used a common human pregnancy test to confirm that Calaya had successfully conceived. They are cautiously optimistic that she will deliver a healthy baby between late March and early May, 2018. However, just as with any animal pregnancy, there is a possibility that miscarriage, stillbirth or a complication could occur. The Zoo will provide weekly updates on Calaya’s pregnancy through Facebook, Twitter and Instagram using the hashtag #GorillaStory. Calaya came to the Zoo in February 2015 from the Woodland Park Zoo. When she first arrived, keepers described Calaya as aloof and disinterested–she would avoid eye contact, grunt and walk away whenever they tried to engage with her. Then, animal keeper Melba Brown had an ‘aha’ moment. She noticed that Calaya learned best by watching the other gorillas train and repeating those actions. It was a breakthrough that helped Brown form a trusting bond with Calaya. Within a matter of days, Calaya mastered basic husbandry behaviors, such as presenting body parts for inspection. These formed the basis for more complicated maternal training, including ultrasounds, urinating on cue for hormone analysis and breast manipulation for lactation assessments and nutrient analysis. Ever since keepers discovered this aspect of Calaya’s personality, they have been acclimating her to the experiences of motherhood. 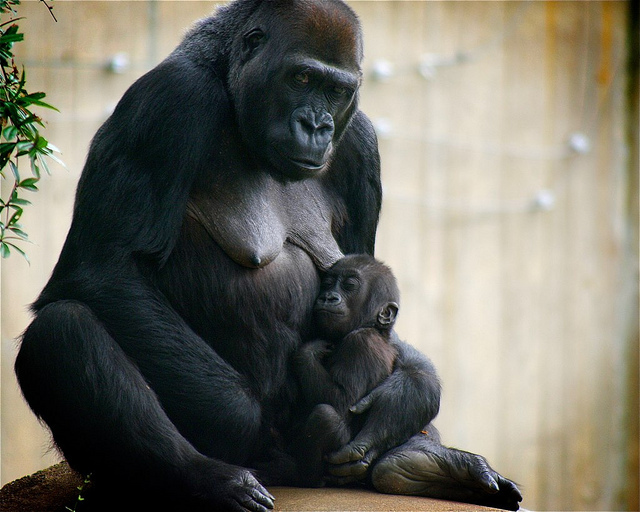 Since she learns best by observing other gorillas, Brown presented Calaya with photos of mother gorillas holding and nursing infants. In addition, she has trained Calaya to touch, kiss and “nurse” a plush gorilla toy. This training enhances the likelihood that Calaya, who will be a first-time mother, will care for her infant. Gorillas live in groups, called troops, that are typically composed of a silverback male, one or more blackback males, several adult females and their infant and juvenile offspring. Native to Africa, western lowland gorillas live in the forests of Gabon, Central Africa Republic, Cameroon, Angola, Equatorial Guinea and Congo. The International Union for Conservation of Nature lists the western lowland gorilla as critically endangered due to disease and poaching. Scientists estimate that in the past 20 to 25 years, the number of wild western lowland gorillas has decreased by 60 percent.